The Co-op is pleased to present GroupBuy savings on an enrollment in a homeschool favorite, and a Cathy Duffy 102 Top Pick for Homeschool Curriculum: Supercharged Science. By joining this GroupBuy offer, you can save 35% on a 365-day subscription for the e-Science curriculum, and for new subscribers, receive a Welcome DVD with extra-cool Science Lessons and a package of hard-to-find parts -- a $65 value -- FREE! 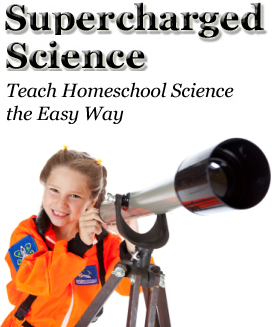 A Science Curriculum Designed for Homeschoolers! Is your current science curriculum working as well as you'd hoped? Do your children look forward to their science lesson every day? Do you feel you have the background to give your children the science education you want them to have? e-Science is a complete, self-guided, video-based online science curriculum that explains science topics to kids in a practical real-world way, then uses step-by-step videos to guide them through every detail of activities, experiments and projects that let them apply the concepts they just learned. Many of us need help when it comes to teaching science, especially in the higher grades, so our science curriculum needs to be a self-paced, self-contained, comprehensive, resource-rich, and backed up with access to an experienced science teacher. That, in a nutshell, is what Supercharged Science aims to be -- everything you need (except supplies) to give your child a complete homeschool science education. Get a FREE Science Activity Video Series & Guidebook. Watch a complete video introduction to Supercharged Science. Fulfillment: For New Subscribers, within 15 minutes of receiving your order, we will publish a special link on your Co-op account's "My Subscription" page that you use to start your subscription today for no charge at the Supercharged Science website. Your 365-day subscription starts when you sign up at the Supercharged Science website. For Renewing Subscribers, your order will be sent to Supercharged Science so they can extend your subscription by 365 days. Welcome DVD: New Subscribers -- unless you sign up for your subscription through the link on your "My Subscriptions" page, Supercharged Science will not have the information to send you the Welcome DVD with extra-cool Science Lessons so don't delay! Service Fee: The Co-op will charge a nonrefundable service fee of $5.00 to help cover some of our cost of providing this service. 30-Day Money-Back Guarantee for New Subscribers: Simply let us know within 30 days from your start date if this isn't the right curriculum for you, and we'll refund you the purchase price. Enter a "1" in the Qty space above to get 24/7 access to the entire Supercharged e-Science curriculum for grades K-8 for 365 days for your entire family. e-Science is a video-based online curriculum that explains topics to kids in a practical real-world way, then uses step-by-step videos to guide them through every detail of activities, experiments and projects that let them apply the concepts they just learned. Then, it introduces the academics to support what they've just learned. 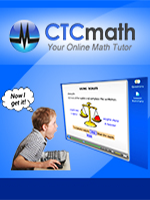 Finally, there are exercises/quizzes to let you know how your kids are doing. Topics that include Rocketry, Aerodynamics & Flight, Electricity & Robotics, Chemistry, Physics, Alternative Energy, Thermodynamics, Light & Lasers, and lots more! In fact, they have a whole Biology series planned for early next year! Enter a "1" in the Qty space above to get 24/7 access to the entire Supercharged e-Science curriculum for grades K-12 through for 365 days for your entire family. 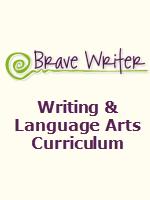 If you have kids in both K-8 and 9-12, this is your best value! Enter a "1" in the Qty space above to extend your current subscription to the Supercharged e-Science curriculum for grades K-8 by 365 days. Enter a "1" in the Qty space above to extend your current subscription to the Supercharged e-Science curriculum for grades K-12 by 365 days.